Amongst the main reasons to visit Benidorm, those three golden strands of sand are host to a huge variety of watersports, beach resorts and wonderful people all out to enjoy the Mediterranean sun! 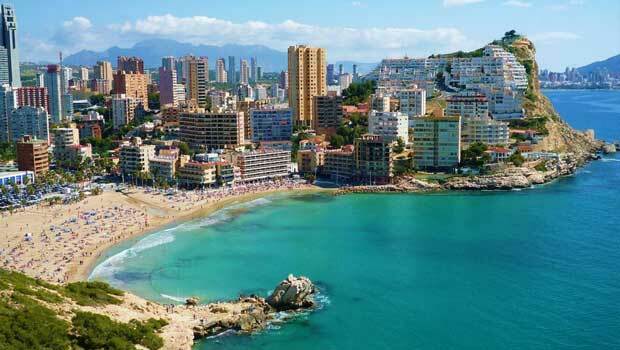 The amusements on offer will satisfy everyone from families to party-goers and bachelors enjoying their last days of freedom, so those blue flag awarded beaches are one of the main attractions and reasons to book your holidays in Benidorm! 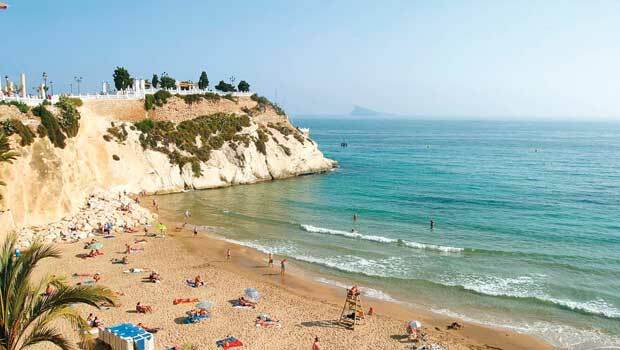 Depending on what you might want for your holidays there is definitely a beach waiting, so in this article we present the three major beaches in Benidorm to get a taste and why not, take your pick for your ideal day out in Benidorm! If you are into meeting new people while enjoying your time on the beach then this one is definitely for you! Usually crowded but nonetheless still very clean, the Levante beach is known as the sunshine beach where the party never dies down! 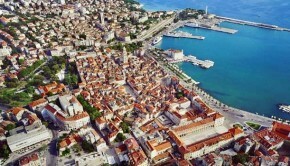 Backed by bars, clubs and restaurants the amenities on offer are various and most of the people there are up for the good times. 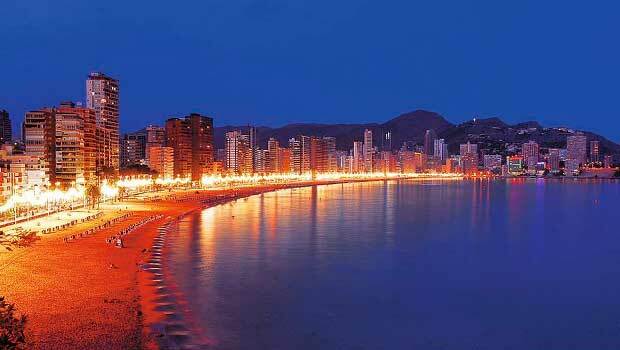 Pack your hat, sunglasses and sunscreen, pay a visit while visiting Benidorm and you will definitely be amazed! 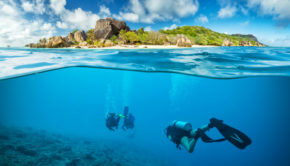 The friendly and gentle nature of the shore is inviting even to the least experienced swimmers and families are very well catered for. There’s loads of entertainments such as watersports and slides for the children to play with and socialise whilst at the same time being in a friendly environment. What more could you ask for your family? 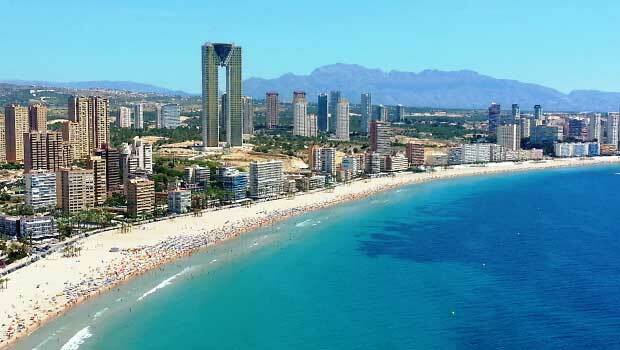 Situated after the Old Town, Poniente beach is west of the usually overcrowded Levante but none the less exciting! 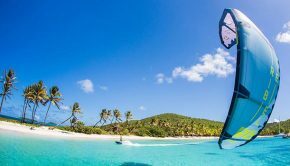 The water sports and activities on offer remain various and entertaining without the hassle of over 6000 people looking for a spot in the sand. So if you still want a magnificent beach to feel the golden sand under your toes while sunbathing without the usual noise, then this beach is for you. The overall laid back style and relaxed atmosphere is perfectly inviting for those who like a bit of more space for their own and family, so why be disappointed and alone on a secluded beach? This is a swimming friendly and meticulously cleaned place as well so all the more reason to visit it during your vacation in Benidorm! Finally for those who want a piece of quiet on a sunny Mediterranean setting, the Malpas beach is guaranteed not to disappoint. 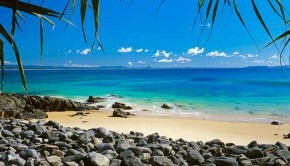 Located close to the harbour under the castle cliffs and brilliantly decorated by palm trees, this beach is way less crowded than the other two while being as enjoyable. The activities on offer are less than the other two superstars of beaches but at the same time its less crowded and friendly nature makes it an idyllic spot to relax with a beer or cocktail in hand and gaze down the endless blue of the Mediterranean whilst savouring the sunshine.